Dr. Szmitko and her team of dental professionals, here at Forest Green Dental Care in Newmarket, offer both crowns and bridges for a number of cosmetic and functional situations. If you are missing some of your teeth, don’t worry, Dr. Szmitko and her team can help you. Dr. Szmitko knows that losing one or more teeth has an unwelcome impact socially and psychologically. That is why Dr. Szmitko wants you to understand what crown and bridge treatment can do for you. 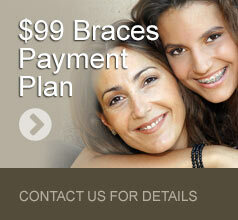 Crown and bridge work is a permanent method for replacing missing teeth to help you improve your smile and health. Crown and bridge procedures permanently replace missing and worn tooth structure. Dr. Szmitko utilizes very strong, aesthetic dental materials to restore teeth to their natural function and beauty. This technology has evolved so that in certain cases, all-ceramic (porcelain) materials are used. These metal-free restorations are not only very strong, but life-like too. Sometimes crowns or bridges are constructed in conjunction with other cosmetic services, such as porcelain laminates, to create an entire new look. No special maintenance is necessary and the restorations generally last for many years. Crowns are covers that fit over your teeth to restore and strengthen them. Some reasons for choosing crowns are to cover discoloured or unevenly shaped teeth, to protect weak or decayed teeth, to restore a fractured tooth, to attach a bridge or to strengthen teeth after a root canal treatment. What are the benefits of crowns from a cosmetic and health point of view? A crown can be utilized to repair a chipped or fractured tooth and is by far the best way to protect a weak or badly decayed tooth. A crown is also a very good way to cover a single or number of teeth that are stained or have become yellow due to tetracycline, coffee, tea, or other harsh staining properties. A bridge is an artificial tooth used to replace one that is missing. It is attached to your neighbouring teeth. One of the benefits of using a bridge to replace a missing tooth (or teeth) is how natural it looks and feels. With proper care, bridges can last for years. A bridge can take the place of a missing tooth. 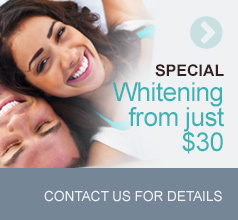 It not only improves the look of your smile, but also contributes to better dental health. Each tooth has its own important role. Some are used for biting or chewing, others give shape to your face. The support that your teeth provide for each other is compromised when one tooth is missing. Before long, evidence of breakdown is noticed in the remaining teeth, the jaw joint and/or the gums. The use of a bridge, or ‘artificial tooth’ can prevent these problems. If you are missing a tooth, but have sound, healthy teeth on either side of the gap, a bridge may be a good option for you. A bridge is a replacement tooth which is bonded to adjacent teeth. The benefit to you? You keep the two neighbouring teeth intact, instead of having them filed down for a crown as in traditional crown and bridge work. Dr. Szmitko is interested in helping you receive the least extensive and most appropriate dental treatment possible. Dr. Szmitko and her team of professionals here at Forest Green Dental Care take great pride in helping all of our patients to have the healthiest most beautiful smile possible. If you have any questions about crowns or bridges, please feel free to speak with Dr. Szmitko or one of our Forest Green Dental Care team members today. If you think that your smile may be enhanced or improved with a crown and bridge procedure, please contact us to arrange an exam and consultation.